“An eye from an eye, a tooth for a tooth.” We have been roaming on this Planet for a few minutes in galactic time; It’s believed that humans originated about 200,000 years ago in the Middle Paleolithic period in Southern Africa, right where our friend Martie C. lives. Roughly we have 5,000 generations behind us…and that is nothing compared with creation. Paleontologists worry about dates and excavations, but where this evilness really came from? We are dust and shall return to dust… there is a hidden origin for evil beyond the scriptures. Were we tainted souls from stellar aliens that were casted down on earth? 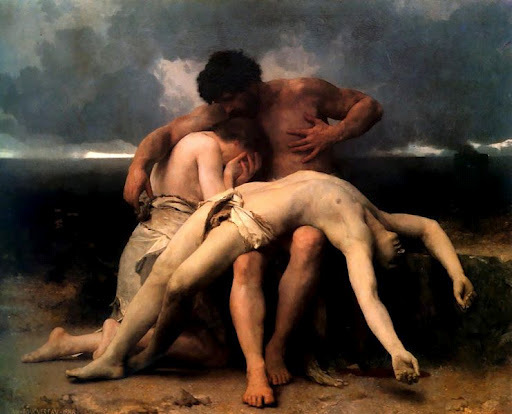 Cain killed Abel and didn’t have remorse at all. We are prone to kill easily if every one is doing it. Some feel that unequivocally thrill by taking someone’s life. Not even the Biggs boson was able to stop us from killing each other. There is an internal contaminated feeling that ticks every second, ready to wake up our demons and make us inflict harm to others and to ourselves. The Spanish Inquisition, the massacre of Native Americans by the Puritans, The Huguenots and the crusades. We as humans have killed in the name of God’s Glorified name…. More : Why Do People Kill So Easily?